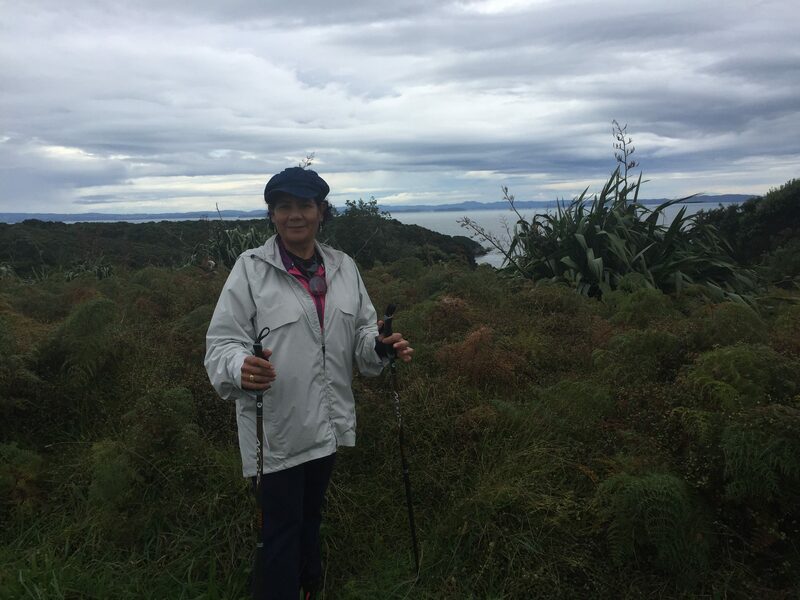 On 6th May Marlene Hessing proudly achieved her personal mission of completing the Tiri Tiri Matangi Walk, following an Anzac Day walk on the Leigh Coastal Walkway on Goat Island. 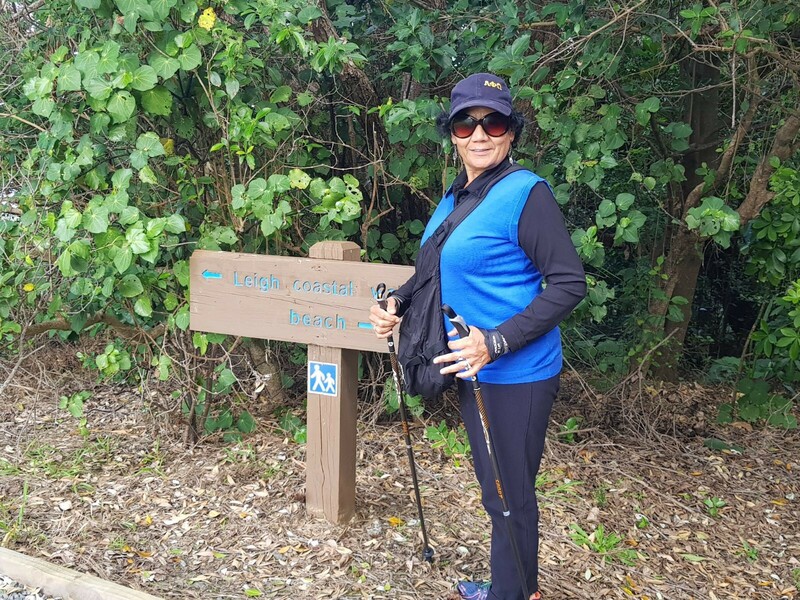 While the one-and-a-half and three-hour walks respectively, may be easily achievable for some, for Marlene who was diagnosed with relapsing remitting multiple sclerosis (RRMS) in 1999, and then a few years later secondary progressive MS (SPMS), this was a goal she thought not possible. That was until she saw an advert for the Mastering Mountains Grant and was awarded the opportunity to work with Lisa Gombinsky, of Counter Punch Parkinson’s in Auckland, to help her build her strength, balance, coordination and stamina for her to achieve her goals. 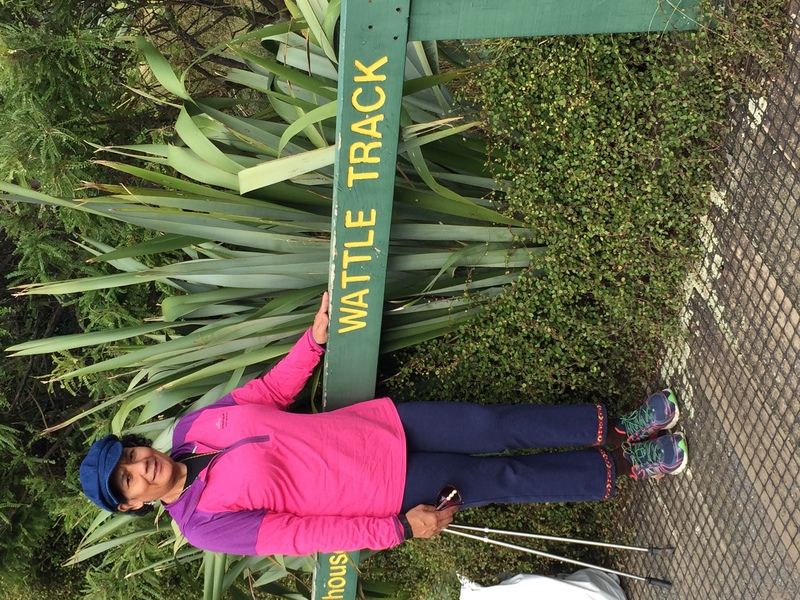 Supported by her personal coach Lisa, Marlene completed her second challenge, the Tiri Tiri Matangi Walk. Despite the predicted bad weather Marlene chose to not let this stop her. “We took a longer route, just in case, and walked nearly an hour and a half reaching the light house and joining other people.” Fortunately, the weather was on Marlene’s side, as the rain stayed away with the sun even peeking through the clouds as they reached the summit. Marlene relished the lovely views, great bush and tree canopies, as well as listening to the host of native birds who were cheering her along as they merrily chirped away. Marlene, a self-described survivor doesn’t let MS and her mobility issues hold her back. Despite having to give up a successful career with Air New Zealand as her condition progressed, Marlene’s strong, independent and determined personality empowered her to fight back against the odds. 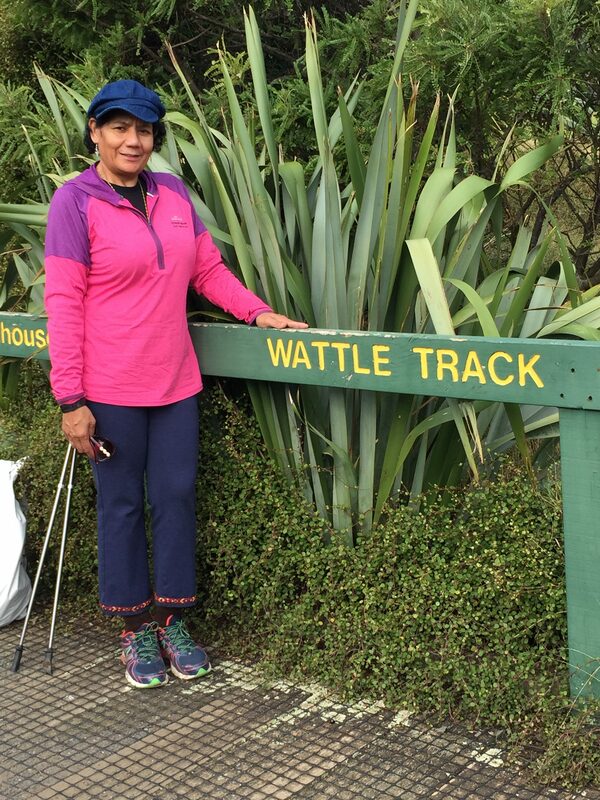 Even before being awarded the Mastering Mountains Grant, Marlene attended the gym three times a week, as well as yoga and water walking classes run by MS Auckland, to keep mobile. Q) What are you most proud of? I am proud of being positive and proactive. I also feel great that all the hard yards I put in did pay off. Q) What was the biggest hurdle you had to overcome? I struggle with fatigue, balance, co-ordination and self-doubt and had to learn how to overcome these barriers. Awareness and learning to manage these symptoms was key to my success. Q) How has achieving these goals impacted your outlook and life? Achieving anything is a great boost to one’s morale and confidence. This opportunity has given me strength to plan and dream. It has made me more positive and has encouraged me to want to extend myself further. Q) How important and beneficial is health and exercise to you? As the saying goes “health is wealth”. A person’s health impacts every aspect of their life. More and more studies are confirming that exercise can help with one’s well-being, so I believe that exercise and a healthy life style is crucial for me and each one of us. Q) Has this view point changed since receiving the grant and embarking on your adventure? It has just endorsed this further and I now pay more attention to my daily planning and shopping for groceries cutting, out anything artificial or full of bad fats and sugars. I have already joined a local walking club. The aim is to increase my distance, time and to work on different terrains and levels. My goal is to be able to trek with outdoor clubs. Q) How has the grant been of benefit to you? The grant allowed me to get one on one coaching which has boasted my morale and techniques, giving me a new appreciation for the gym and weight training. Q) What would your advice be to other people who are thinking or applying or not sure about applying for a Mastering Mountains Grant? I would encourage people to give the outdoors a go. It is amazing how quickly you appreciate nature and the beautiful environment around us. I would encourage people to challenge themselves, to make sure they have support and to believe in themselves. 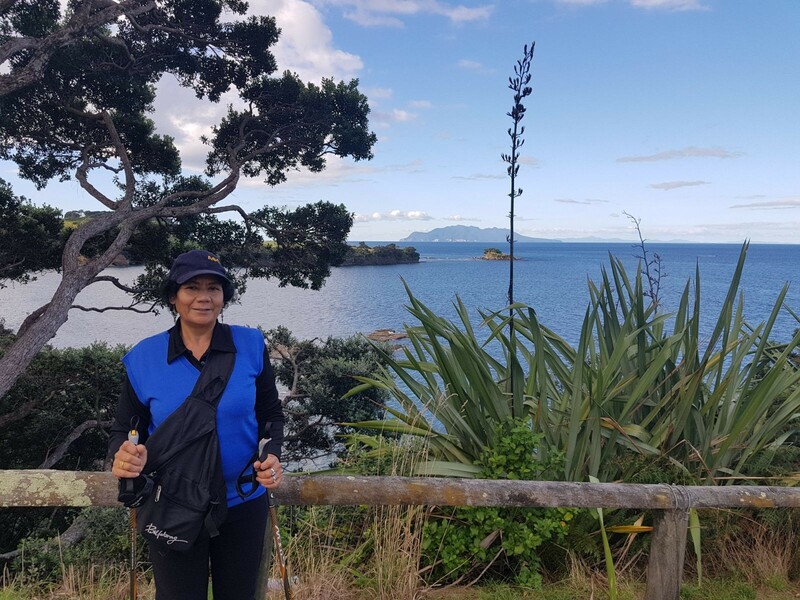 MSNZ is proud to work with the Mastering Mountains Trust to provide this grant and assist people like Marlene who have been diagnosed with MS, to overcome a specific obstacle so that they can achieve a specific outdoor pursuit. 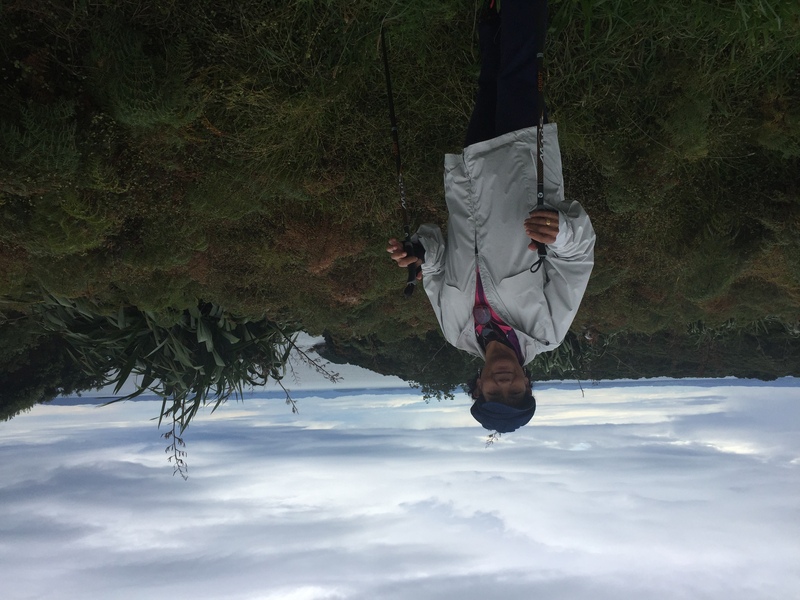 From everyone at MSNZ and the Mastering Mountains Trust a huge congratulations Marlene for achieving your mission. We look forward to following your journey and showing that MS won’t stop you!